All Domextra water softeners have a 5 years parts, 2 year labour guarantee. For further information see Domextra Specifications. Please see this Brochure for more details. All Toucan water softeners have a 2 year parts and labour guarantee. For further information see Toucan Specifications. 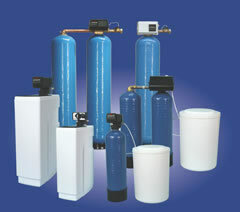 Phone for further information on Industrial Water Softeners, contact us. For further information on deliveries or prices see Salt & Deliveries. For further information see Filters & Taps.